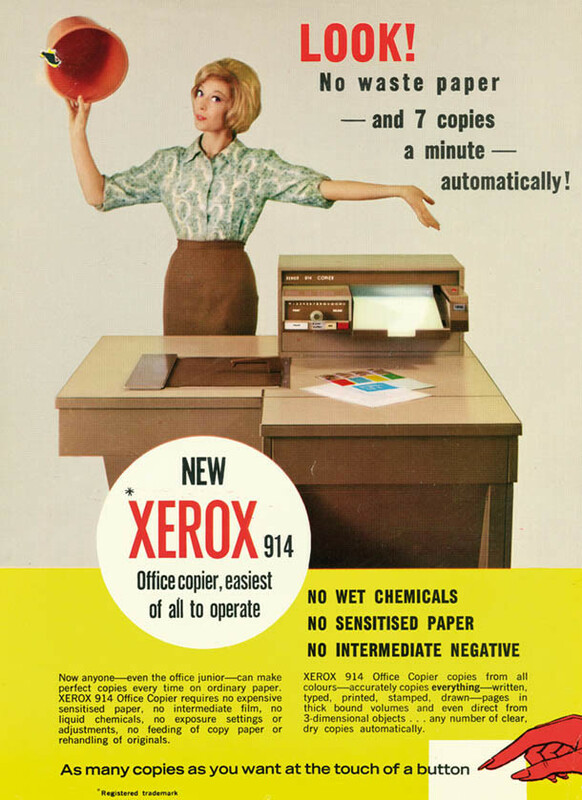 The Xerox 914 was the first photocopier in history, a machine that gave the kick-off to the information age. It was created in the late 1950s, and was a real revolution for the office, allowing for the first time to make almost perfect copies of documents in just a few seconds. It was not a small machine, nor cheap. In fact, its creator had a hard time starting to market it. But once it came to the market and no one pure stop it. If today we can access any information from anywhere, it is, in part, thanks to the first steps that started with the Xerox 914. From the ancient monasteries where handwritten documents were copied to the creation of the Gutenberg printing press, the reproduction of documents has been a constant in our recent history. At the beginning of the 20th century we began to look for new methods to accelerate the process, which gave rise to all kinds of inventions such as the Mimeograph, a kind of manual photocopier. Who finally gave the key was the physicist Chester Floyd “Chet” Carlson, who had worked in a patent office. During that work, he had to deal with copying processes as cumbersome as photographing documents with 10-second exposures, then investing between an afternoon and a day for the development of that single copy. Chester Carlson wanted to find a way to make copies instantly without leaving the office. He did it by developing a new technique called xerography, which he originally called electro photography because it relied on electricity to make the copies. 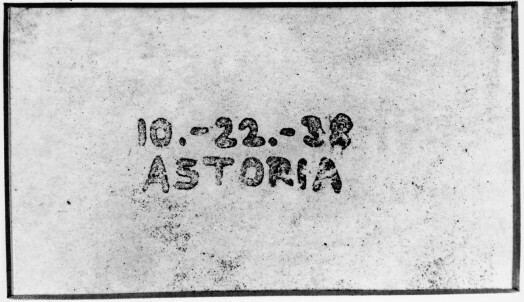 Carlson made the first xerographic copy in his laboratory in 1938, with only 32 years. The operation of his new technique was the following. First it would uniformly charge a surface with static electricity, and then expose it to a light that discharged or destroyed the electrical charge. In this way, the charge only remained in the areas where there was a shadow, and this was transferred to the paper by an electrostatic field to fix dry ink in these areas by applying heat. Carlson had just created a technology that would revolutionize the world, and after patenting it he began trying to sell it to the big technology companies. But none of them was interested, and was rejected by companies like IBM or Kodak. It was not until 1947 that a company called Haloid Company decided to bet on its idea, acquiring the rights of the patent for its commercial development. 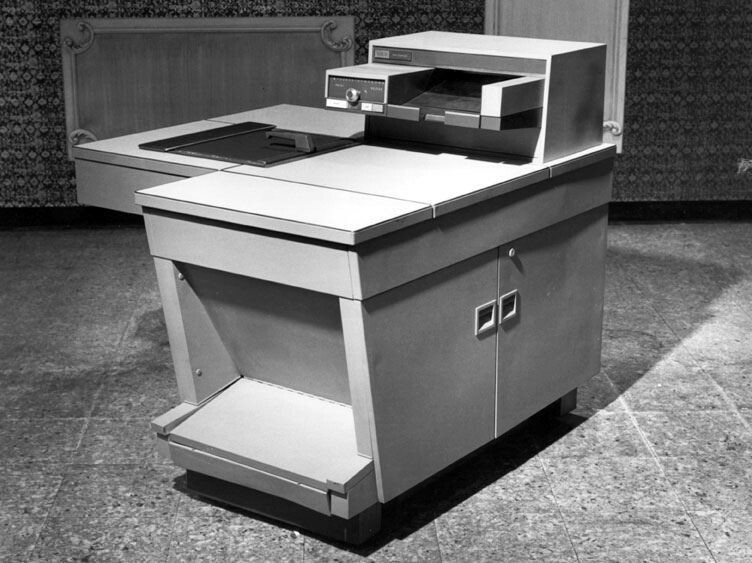 After more than a decade of development, the company presented the first prototype of an automatic xerographic photocopier on September 16, 1959. They called it Xerox 914. Two years later, in 1961, the company was renamed Xerox Company, and began to market the first modern photocopier in history. To get an idea of ​​its impact, we just have to look at how it helped multiply the number of copies of documents that were made at the time. The year the Xerox 914 went on the market, in the United States 20 million copies of documents were made per year, but only five years later the figure went up to 16,000 million copies. The Xerox 914 had that numbering in its name because it could copy original documents to a size of 9×14 inches , which is 229 x 356 millimeters. It was a gigantic copying cabinet, with a weight of 294 kilograms, and dimensions of 107 centimeters high, 117 cm wide and 114 cm deep. Despite its size, it obtained truly amazing results, being able to make quality copies in just 7 seconds. The companies did not mind having to throw walls in their offices to fit one of these machines, its extreme speed for the time justified any measure and cost. Each unit of the Xerox 914 had a price of $29,500 when it hit the market. But as the competition had other alternatives with different technologies for just $400, at Xerox they decided to allow companies to “rent” it for $95 per month to make 2,000 copies, with a surcharge of 5 cents for each extra copy. The machine itself was quite complex mechanically, and although it was not so much that you could not learn to use, Xerox had to put a lot of technical support at the service of its customers. Nor was it exempt from design errors, such as the one that made her prone to catch fire when it overheated, so she ended up giving a small extinguisher to the buyers. The copying process was the following. First you had to put any type of paper that you were going to use in a cargo tray similar to modern printers. Then you had to press the power button, and put the document you wanted to copy on a glass tray. Then you would spin a roulette wheel to choose the number of copies, press the print button and that’s it, in just seven seconds you had an almost perfect copy of the document. From its launch in 1961 until it stopped being manufactured in 1976, Xerox was able to sell 200,000 units of this model. In fact, only in the first six months did they sell as many units as they had planned to sell during the whole life of the product, and if they were not more it was because they could not produce as many as to satisfy the demand. Xerox continued to perfect its copying machine, and launched four different versions of the machine : the 914, 420,720 and 1000. Aesthetically they were very similar, but there were differences in the engine speed of each one. 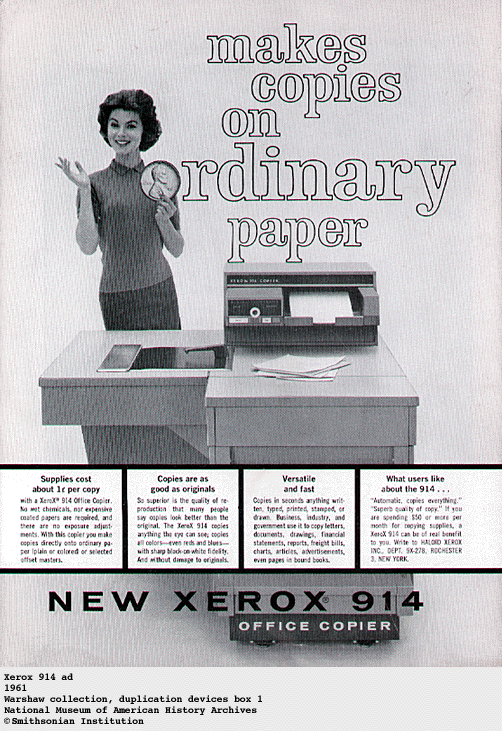 As the 914 could make 7 copies in a minute, the Xerox 1000 managed to make 17 copies in the same period of time. The Xerox 914 marked a before and after in the business world, ushering in a new era for copying that has taken us to the current information age. However, the repercussion that ended up having its invention caught by surprise even its own creators. And is that the machine was originally designed to be able to make 10,000 copies per month, but the final average volume of companies reached 100,000 copies per month. In addition, most of these copies were not from the original documents, but copies that were made from other copies. Today this seems to us the most normal thing in the world, but at that time it was something that made information could be replicated and transmitted faster and faster. For that purpose, the Xerox were succeeded by all kinds of photocopying machines, which in the computer age were replaced by scanners and printers. And so on until today, where we can access a copy of a document from any of our devices.